Chitwan National Park - October to May, Bird Watching - December to March. Maximum temperature can reach up to 95 Fahrenheit (35 C) in April through September. November through February are cooler months with average temperature around 67 Fahrenheit. Chitwan National Park has long been one the country' treasures of natural wonders. The park is situated in south central Nepal, covering 932 sq. km. in the subtropical lowlands of the inner TERAI. The area comprising the Tikauli forest-from Rapti river to the foothills of the Mahabharat-extending over an area of 175 sq. km. was declared Mrigakunja in 1959. 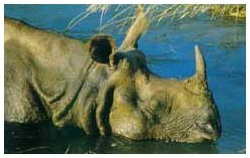 In 1963, the area south of Rapti river was demarcated as a rhinoceros sanctuary. The area was gazetted as the country's first National Park in 1973. In 1996, an area of 750 sq. km. surrounding the park was declared a buffer zone which consists of forests and private lands. The park and the local people jointly initiate community development activities and manage natural resources in the bufferzone. The Government has made provision of plowing back 30-50 percent of the park revenue for community development in the bufferzone. The park consists of a diversity of ecosystems, including the Churia hills, ox-bow lakes and the flood plains of the Rapti, Reu and Narayani rivers. The Churia hills rise slowly towards the east from 150m. to more than 800m. The western portion of the park is comprised of the lower but more ruged “Someshwor hills”. The park shares its western boundary with the “Parsa Wildlife Reserve”. The Chitwan valley consists tropical and subtropical forests. Sal forests cover 70 percent of the park. Sal leaves are used locally for plates in festivals and religious offering. Grassland covers 20% of the park area. There are more that 50 different types of grasses, including the elephant grass (Saccharum spp. ), renowned for its immense height. It can grow up to 8meter. The shorter grasses (Imperata spp.) are used for roof thatching, and mats, rope and paper making purpose. The park is home for more that 50 mammal species, over 525 birds, and 55 amphibians and reptiles. The endangered fauna found in the park area. park has a range of climatic seasons, each offering a unique experience. October through February with an average temperature of 25°C offer an enjoyable climates. From March to June temperatures can reach as high as 43°C. The hot humid days gives way to the monsoon season that typically lasts from late June until September. Rivers become flooded sometime during the season the scenery looks most amazing with unexpected water level. In late January, local villagers are allowed to cut thatch grasses to meet their needs, which offer a better and easy viewing of wildlife to visitors. Also, between September and November, and February and April, migratory birds and create spectacular bird watching opportunity. While the monsoon rains brings lush vegetation, most trees flower in late winter. The “Palash tree” known as the “flame of the forest” and slick cotton tree have spectacular crimson flowers that can be seen from a distance. The park offers interesting sites and activities. The display at the “Visitor Centre at Sauraha” provides fascinating information on wildlife and conservation programs. The women's user groups' souvenir shop offers a variety of handifrafts and other local products for gifts and souvenirs. Elephant safari provides oppourtunity to get a closer view of the endangered one-horned rhinoceros. One may also get a glimpse of the elusive Bengal tiger. The “Elephant Breeding Centre at Khorshor”, sauraha gives you information on domesticated elephant and the baby elephants born there. The museum at Kasara (Parks headquarters) has informative display. Near the HQ visitors can see Bikram baba (Hindu religious site) archival value. A short walk (1km) from the park HQ will take you to the “Gharial Breeding Centre” which is also home to the “Marsh Mugger” and number of turtiles. Inside the park there are seven resorts run by park concessionaries that can provide lodging, fooding and access to wildlife activities by providing many facilities. Various resorts and lodges situated outside the park also offer a variety of services. Of InterestThough one can visit neighboring Tharu villages in Chitwan, the major interesting focus of Chitwan is still the exploration of the Chitwan National Park. The flora and fauna of Chitwan makes it a great place for nature lovers. Chitwan has over 50 different species of mammals, 400 different species of birds, and 65 different types of butterflies in its hardwood Sal forests, riverine vegetation, and "elephant grass" savannah. More than 70 different species of grass grow here. The most famous wildlife in Chitwan is perhaps the single-horned Asian rhinoceros. A few decades ago, their number had fallen to less than 100, but recent count puts them at 400. These animals have thick armor like hide that is hard to penetrate even with a bullet. A fully grown animal can be as tall as 180cm. In spite of army protection for these animals and severe punishment for harming them, rhino poaching is still a problem as every organ of the animal carries some (probably superstitious) value. The horn fetches about US$10,000 per kilo and is believed to be an aphrodisiac. The dung can be a laxative, the urine cures tuberculosis and asthma. The blood can help cure menstrual problems. The hide keeps away evil spirits. And so on. Chitwan has about 150 Bengal tigers left of the one time 3000 or so. Though poaching is a serious threat, the real threat for these majestic animals is the gradual loss of its habitat. A male tiger requires almost 60km space, and a female one requires a third of it. Chitwan is simply not big enough to handle many tigers. It is rare for one to actually see a tiger, though looking for one is an interesting part of the trip. Other wild mammals one may see are leopards, various types of deer, monkeys, sloth bear, and antelope. There are several ways to do this; and if you stay there two to three days, as most tourists do, you can try them all out. An elephant ride is the most popular way of exploring the Chitwan jungle. For about US$15, the government elephants take you around the jungle for an hour and half. There are two trips a day, one in the morning at eight and another at four in the afternoon. During peak seasons, there are long lines for tickets. Your lodge will normally get you one for a dollar or two extra. If you are staying at the luxury lodges inside the Park itself, they have their own elephants too. Note that, other than the elephants owned by these lodges, only the government runs elephant services inside the Park. Privately owned elephant rides (which go for cheaper rates) take you around the outside of the Park, where the chances of game spotting are far less. Jeep safaris are also very popular. For US$15, they take you around for four hours. A great way to spot wildlife in areas further inside the Park which are less trodden.Canoeing along the Rapti river is another option. With some luck you will get to see Gharial crocodiles, marsh muggers, and variety of fish. With a lot of luck you may be able to see a Gangetic dolphin. The trip is a paradise for birdwatchers with possible spotting of kingfishers, ospreys, and egrets. 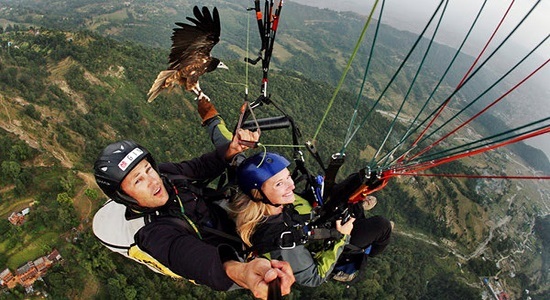 Chitwan is known to have 400 species of birds. For less than US$3-US$5, you can canoe downriver for about an hour, and take a three hour guided walk back. Jungle walks through the jungle is a good way to spot game. Monkeys, birds and deer are assured; rhinos are less common (but not uncommon). A guide is recommended, and you can hire one for $3 per day (or pro-rated for shorter time). They can help you stay safe as well as point out interesting things. For those who want a more extended experience, and are there for more than a couple of days, overnight jungle hike deeper into the jungle can be rewarding. Most do a two night hike. Designated camping spots inside the park cost US$5 per night. Guides cost US$6-US$8 for the trip. You may have to rent your camping gear in Kathmandu, because there aren't really any such facility in Sauraha itself. We are travels operating firm in Gorakhpur, Uttar Pradesh established since 1980 by the two brothers Mr. Anil and Sunil Kesherwani. We have started our business with 1 Bus with our good and timeliness service we have created a good reputation in mind of people and became a biggest Bus fleet owner in the city. 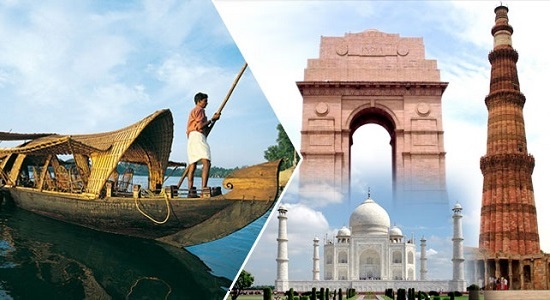 We are best and oldest travel agent in Gorakhpur,Travel agent in Gorakhpur for Chitwan Tour Chitwan National Park,Tour operator in Gorakhpur for Chitwan Tour,Bus hire for Chitwan Tour in Gorakhpur,Tour Package for Chitwan Tour in Gorakhpur,Travel agent for Chitwan Tour in Gorakhpur,Buses In Chitwan Tour,Bus Booking Service for Chitwan Tour.